Solar power is a safe and convenient choice for business owners that allow you to protect your company’s profit margin by sheltering your operational costs from increases in the price of energy. 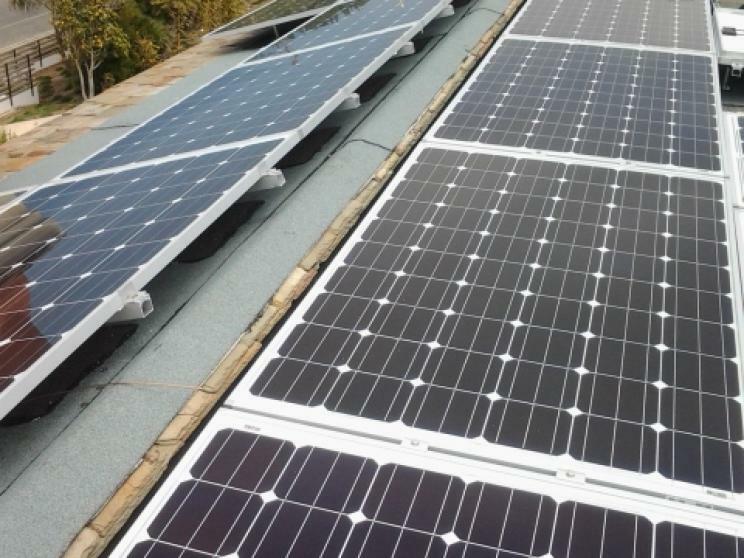 Solar panels installation not only saves you money, it allows you to reduce the impact of CO2 emissions and to create an environmentally friendly image of the company. With over 37 years of experience and knowledge, Natural Energy designs each system to support your specific company needs. We focus on giving you maximum efficiency and performance to lower your overall operating costs. Our customized solutions include analysis of your average utility rates, total usage, current incentives, site layout, and your overall business goals. We want to improve your bottom line. Our team works closely with you to develop the best plan and design based on our evaluation. We make sure your project stays on track and in budget. Our experienced team takes you step by step through the project life cycle. Natural Energy strives to make sure installation is successful with the least interruption to your business with the highest level of quality and customer service. Our project managers keep a close eye on all phases of installation, keeping you up to date on progress and noting any concerns you may have.
" I had a great experience with Natural Energy USA. The pricing, service and workmanship was unmatched. My neighbors paid much more and it took them three weeks longer to get their system installed. Thanks Ted!" "Natural Energy came out to fix my pool solar. The appointment was for Friday but they were able to come earlier, on Monday, so they called to let me know about the schedule change. They also called 30 minutes prior to coming per my request since I needed to meet them at my rental property. They were quick and efficient." "I have had a Solar power generating system from Natural Energy for about 3 years. I have been very happy with the system and have added additional panels to increase the performance above what was already more than satisfactory. Dave Baca is the representative I have always dealt with and I could not be more impressed with his honest, straight forward approach. He always supplies the facts and let's me make the decision - no pressure. You can't go wrong in dealing with Dave and Natural Energy." "I have an older solar panel system that has begun leaking. Arturo has been my technician each time and has been awesome. He is honest and thorough. I know my system will be up and running quickly. It's hard to find people who are willing to work hard these days." You’ve heard about the Greatest Solar Deal Under the Sun, Now it’s Available for Small Business and Building Owners! 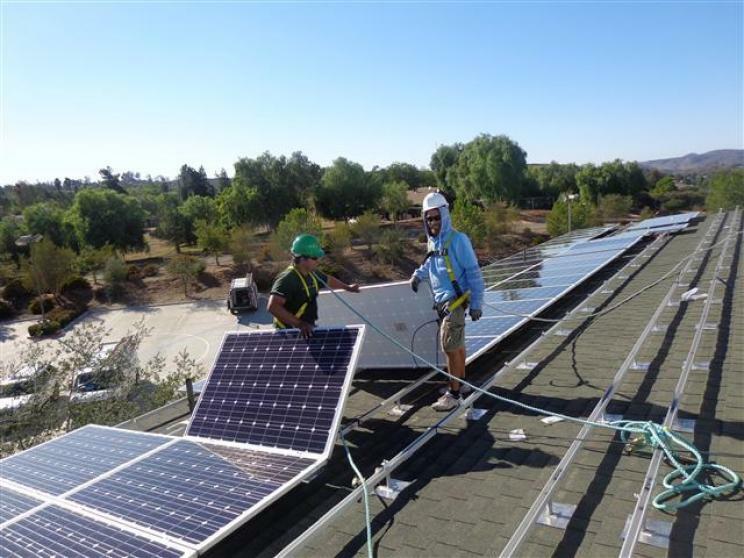 Together with Federal Tax Credits* and Accelerated Depreciation*, California Net Energy Metering* and California Solar Initiative (CSI)* your business will save up to 30-60% on the cost to install solar panels, but you must act quickly as these valuable incentives are expiring soon! We also have flexible and affordable financing for you to purchase or to lease your system! When searching for the right solar company, you must acknowledge that not all Photo Voltaic Solar systems or companies are the same. The choice of the best technology is critical to achieve the best results in terms of energy production and ensure a safe and stable return on investment, and the right installer with assure a quality and trouble free installation. Natural Energy Solar is the ideal choice among other solar companies. We will provide you with the maximum production of electricity and complete safety by installing the most efficient technology available on the market.